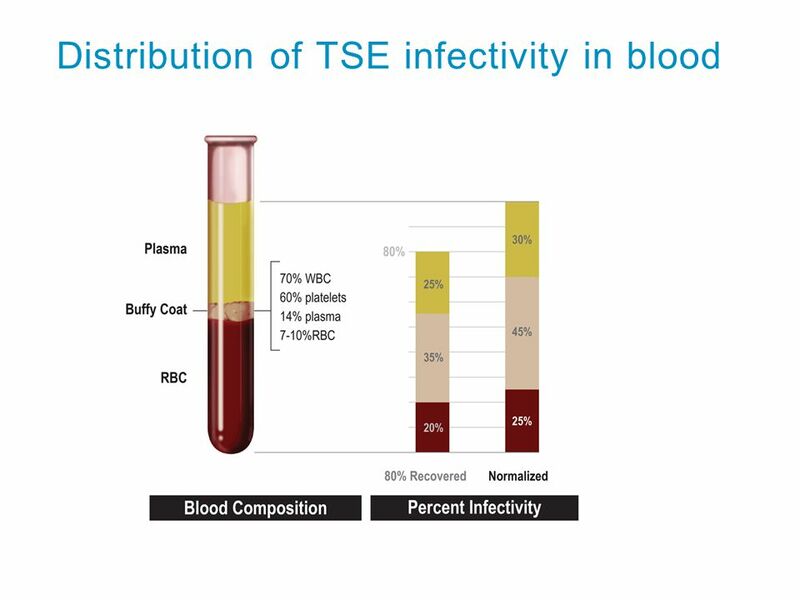 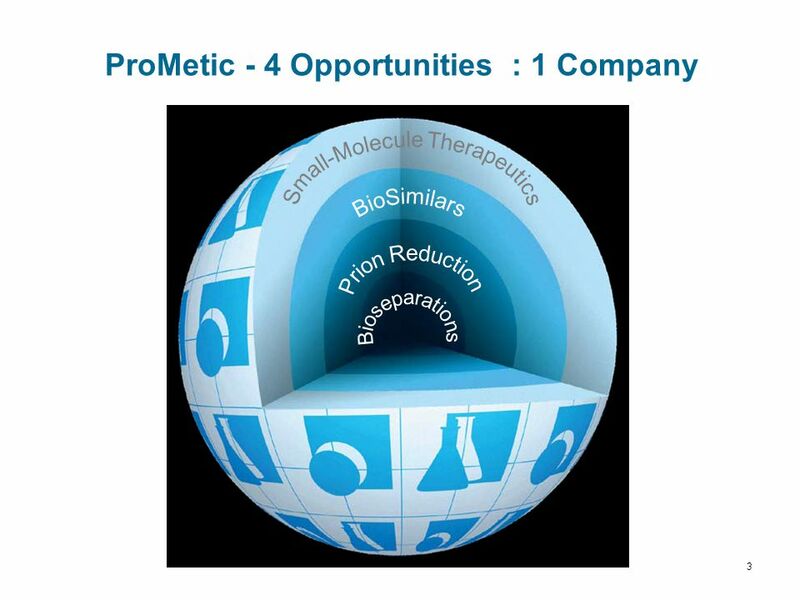 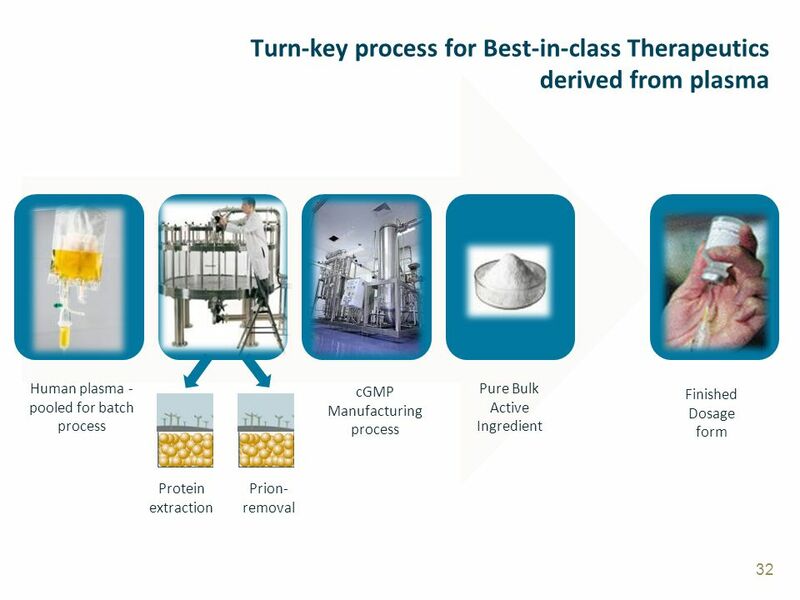 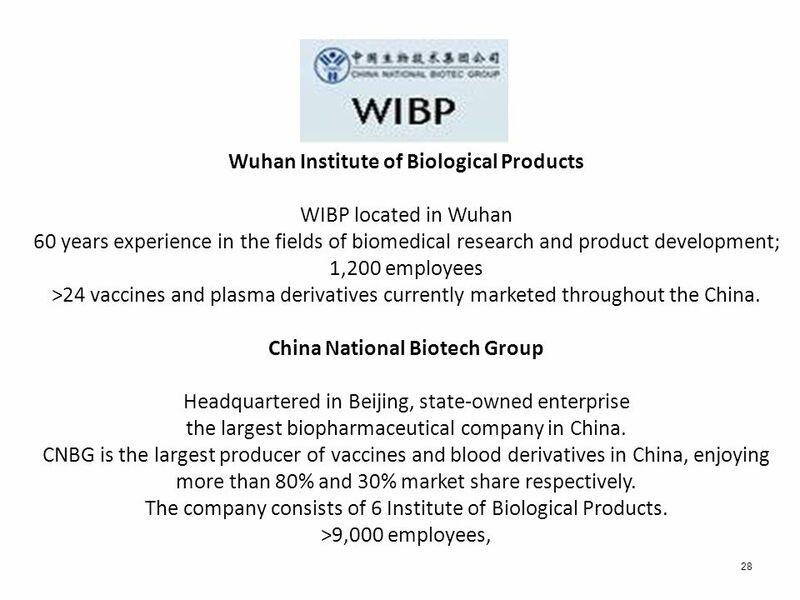 ProMetic Life Sciences Inc. Financial Results Q1-2011 June 15, 2011 TSX:PLI 1. 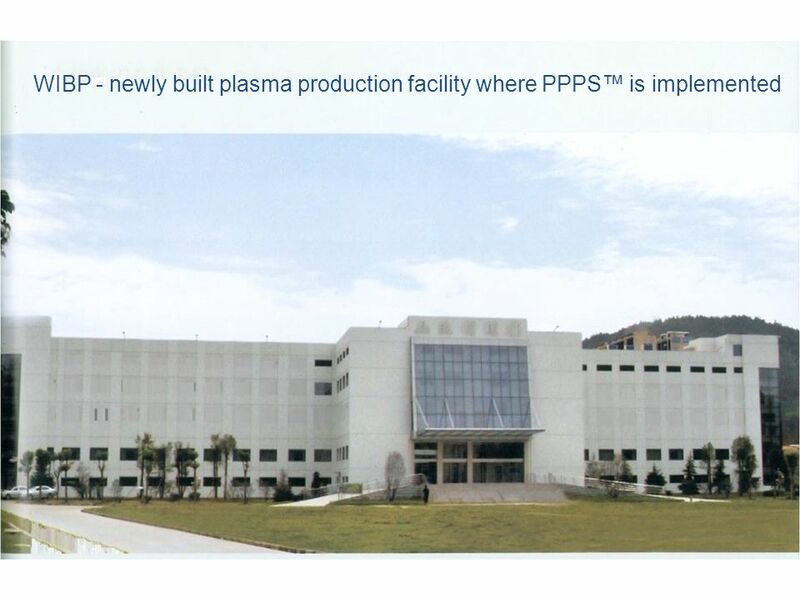 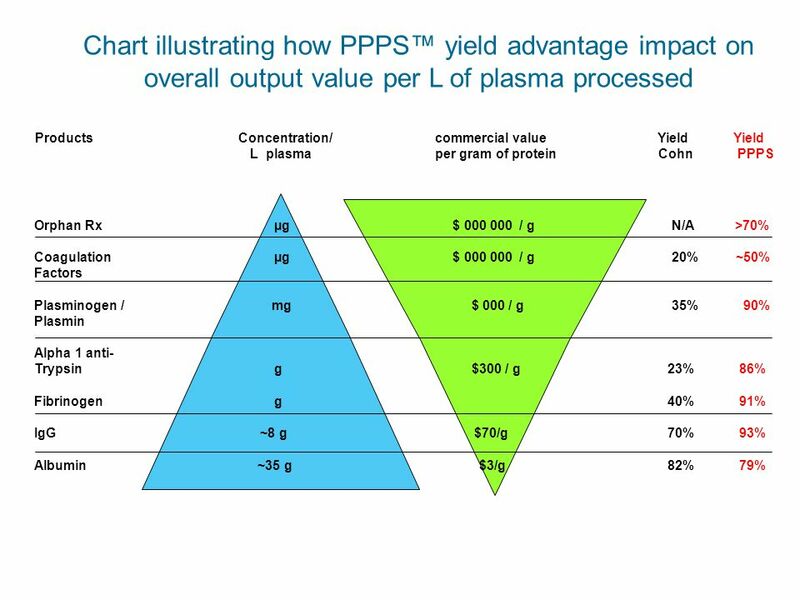 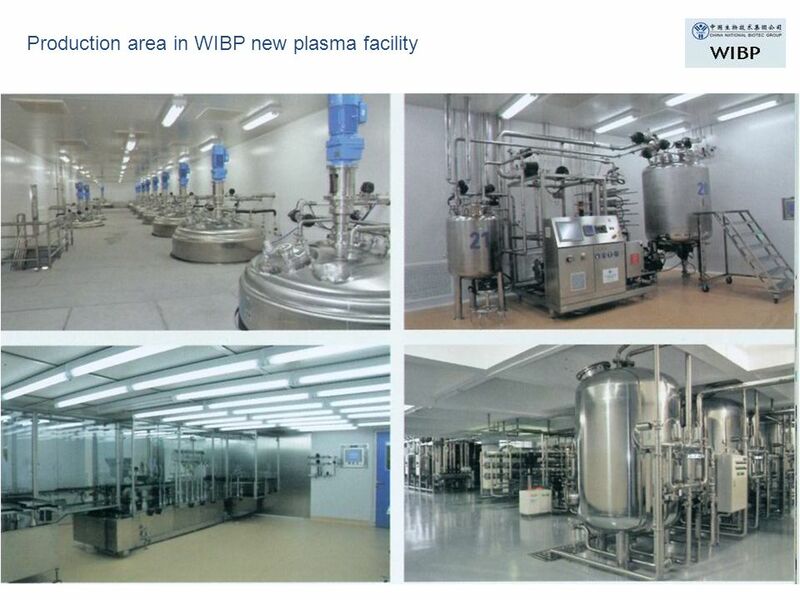 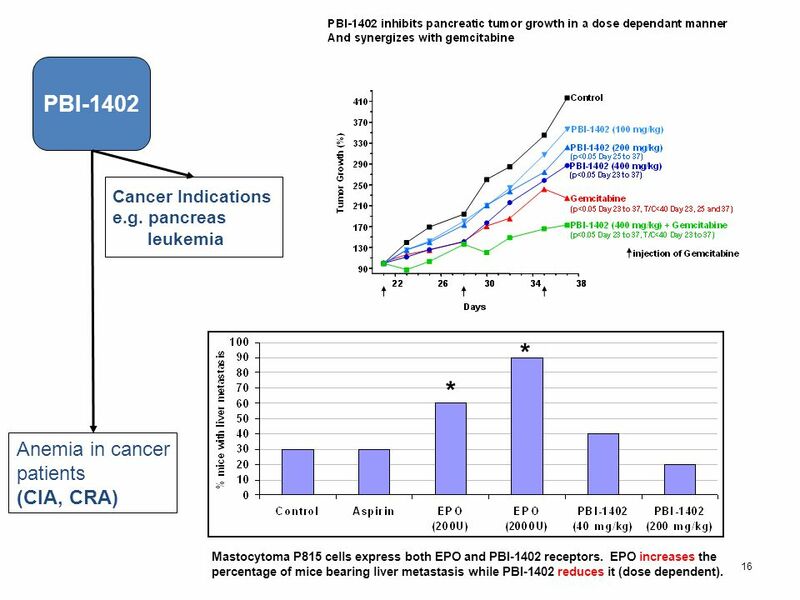 25 25 Industrial applications Commercial use for manufacture of prion- reduced SD Plasma (Octaplas LG®; Uniplas®). 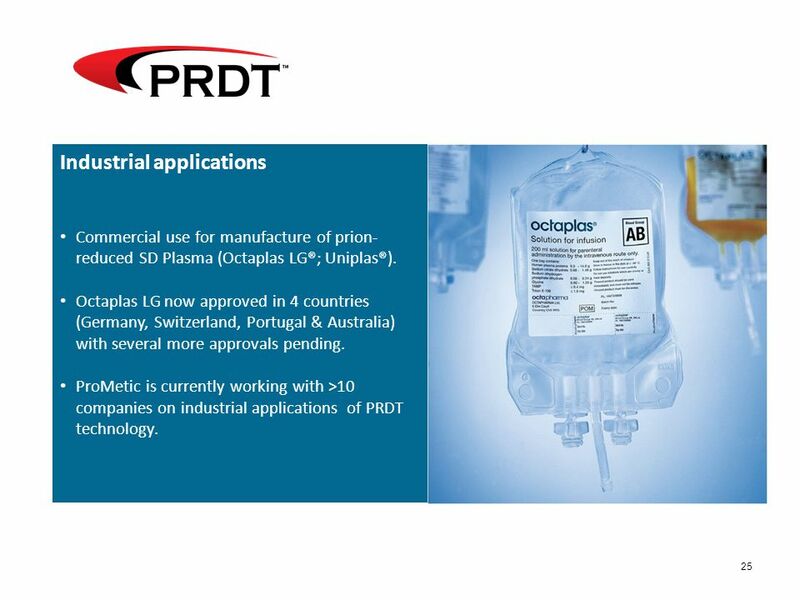 Octaplas LG now approved in 4 countries (Germany, Switzerland, Portugal & Australia) with several more approvals pending. 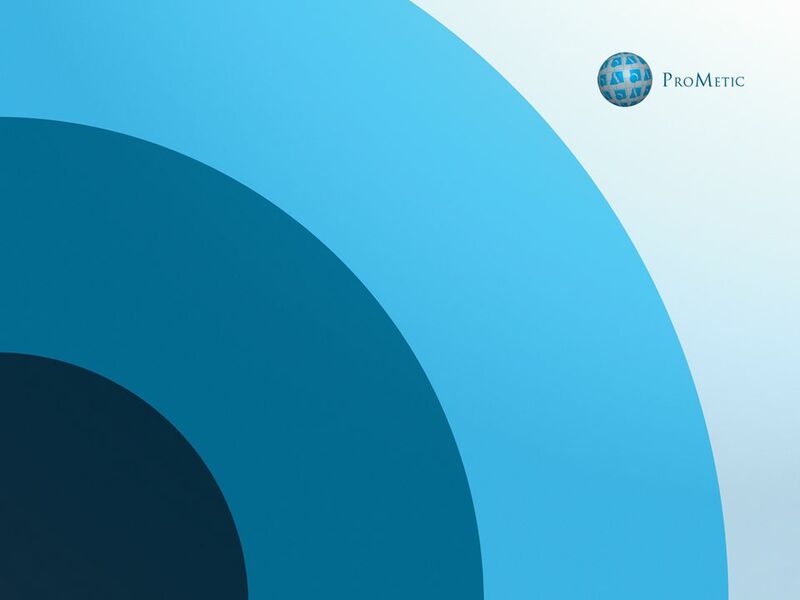 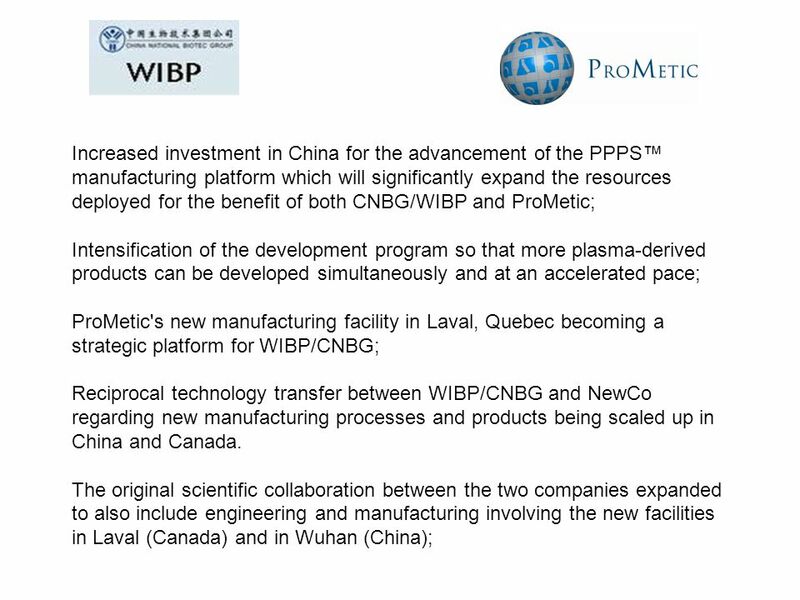 ProMetic is currently working with >10 companies on industrial applications of PRDT technology. 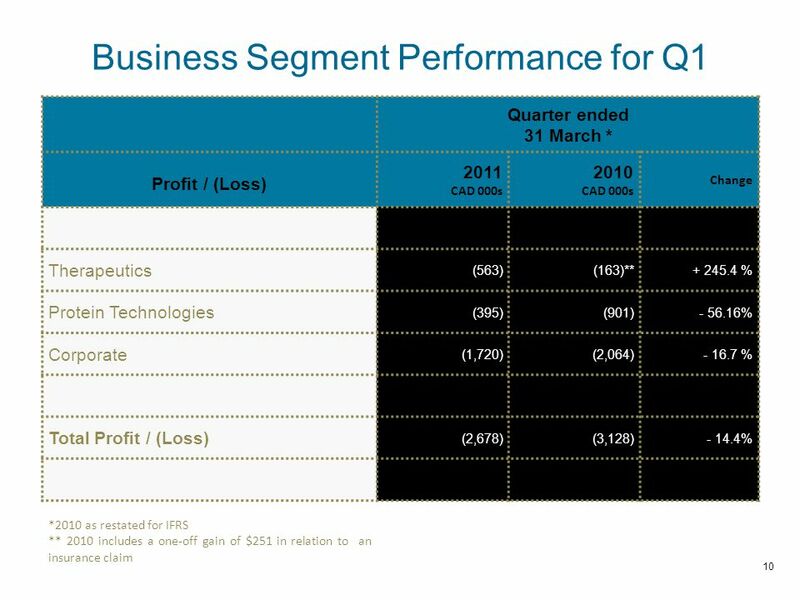 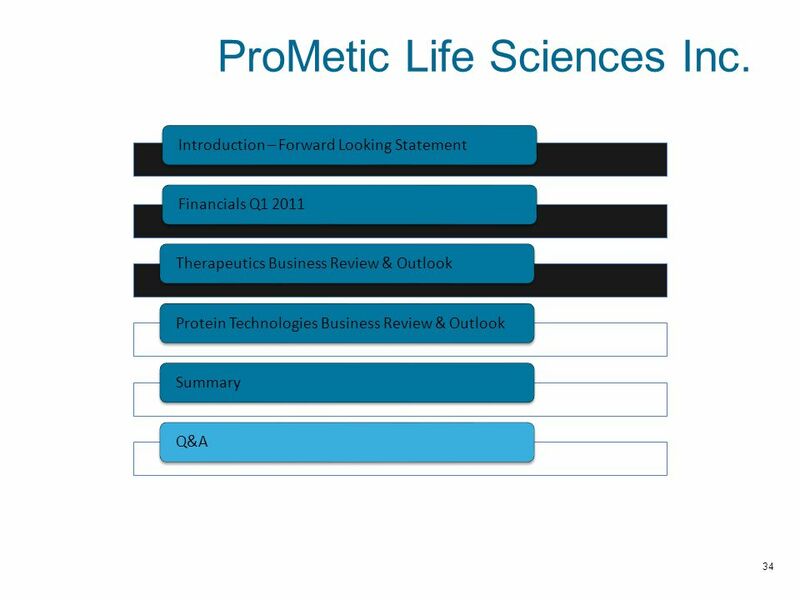 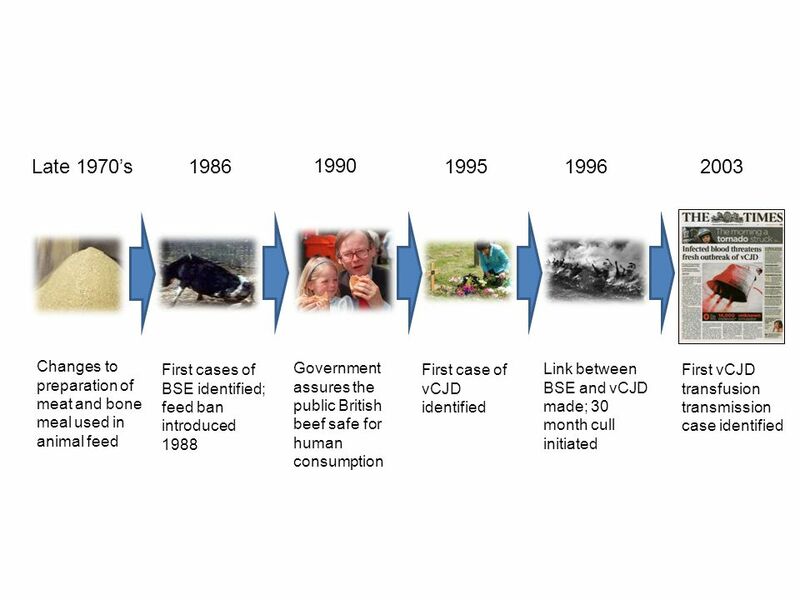 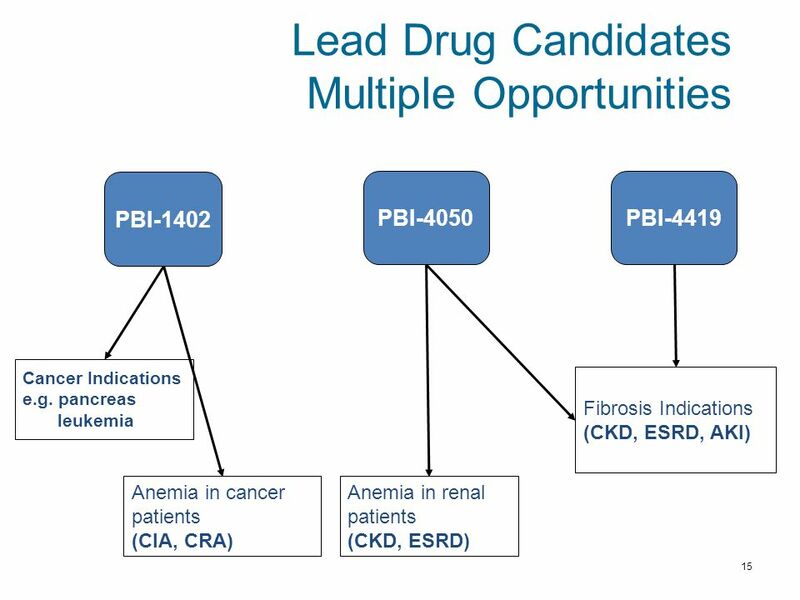 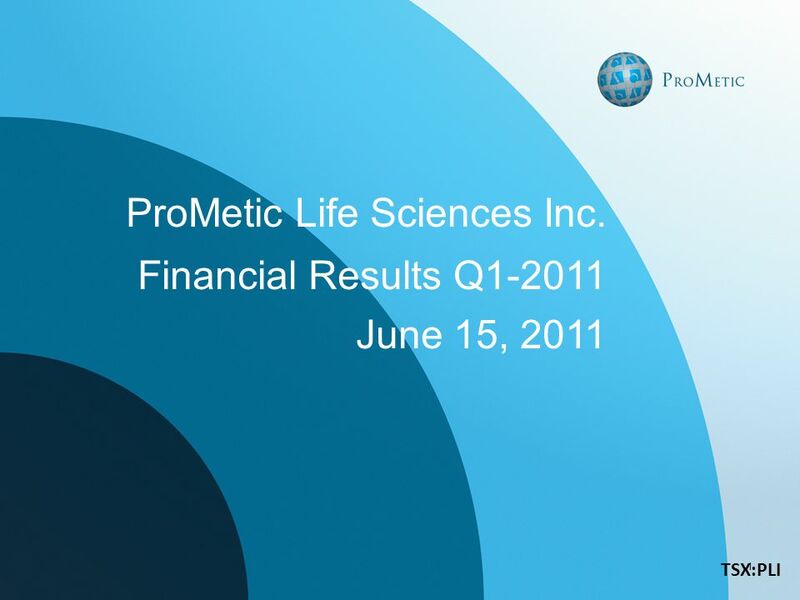 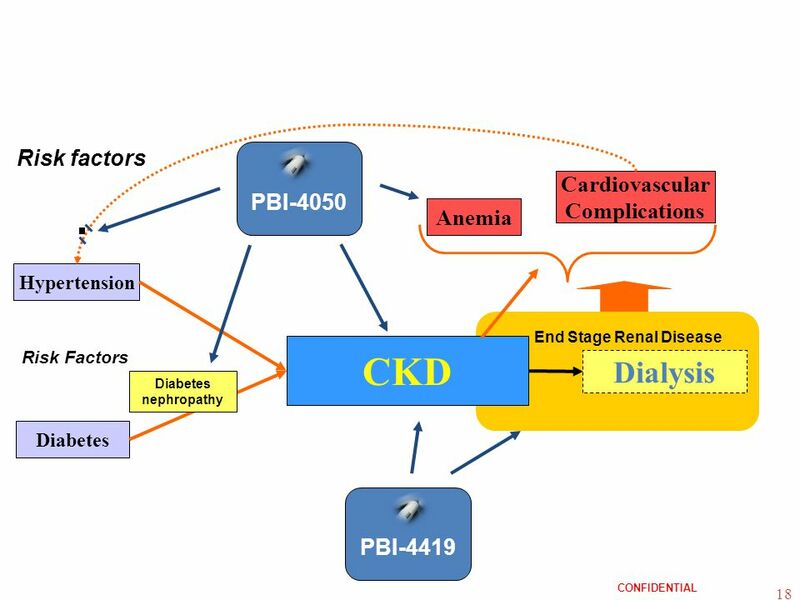 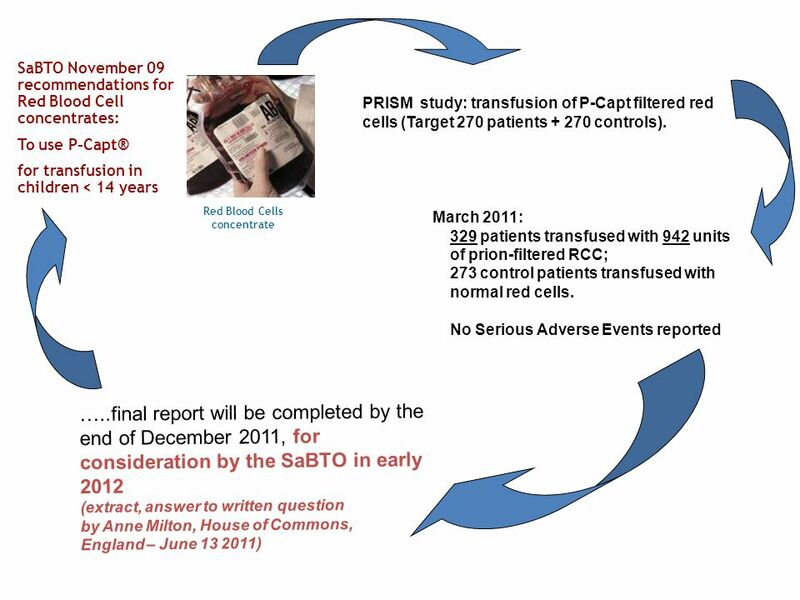 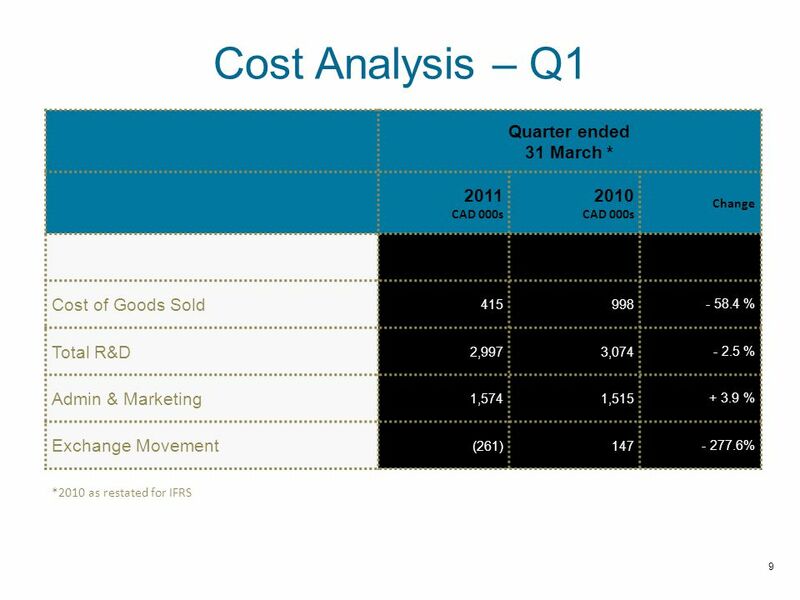 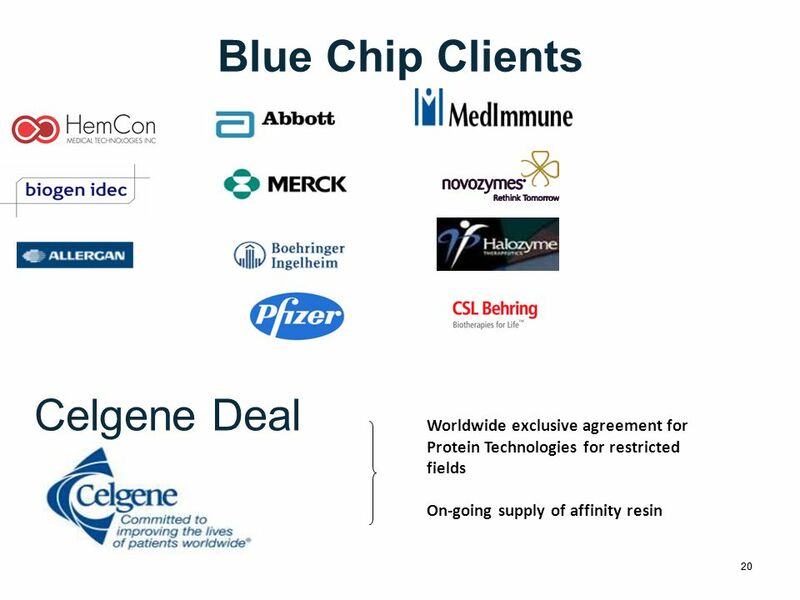 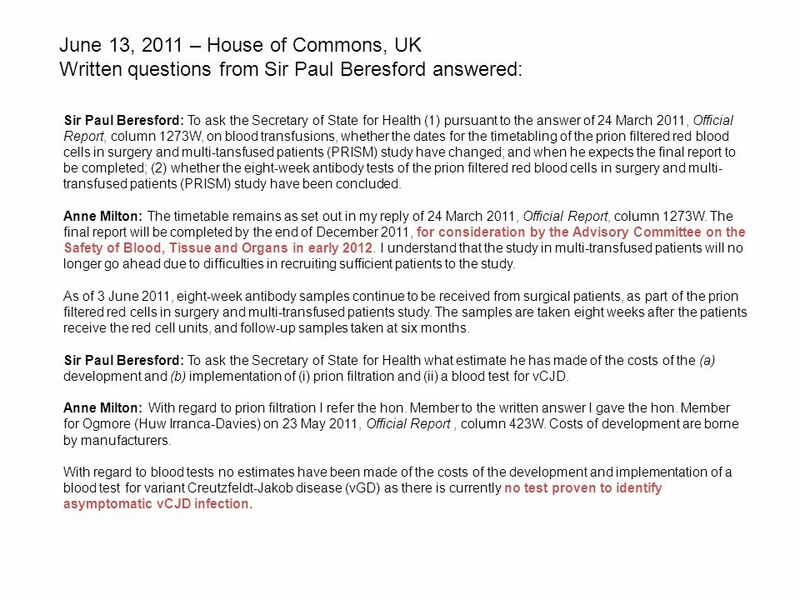 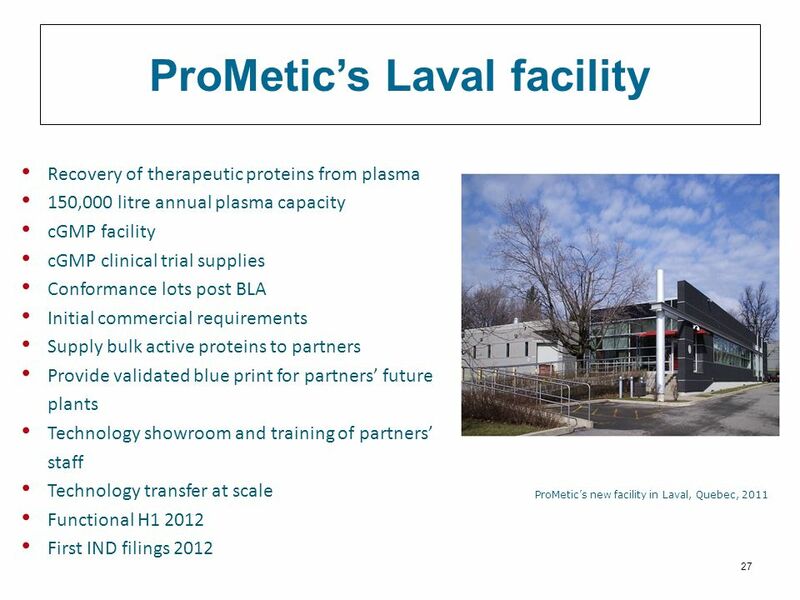 Download ppt "ProMetic Life Sciences Inc. Financial Results Q1-2011 June 15, 2011 TSX:PLI 1." 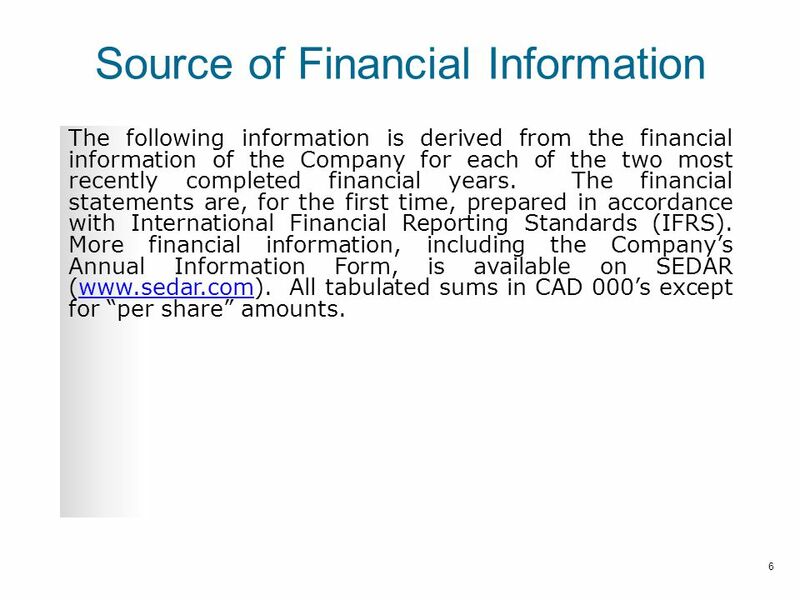 IAS 8 - Accounting changes and errors. 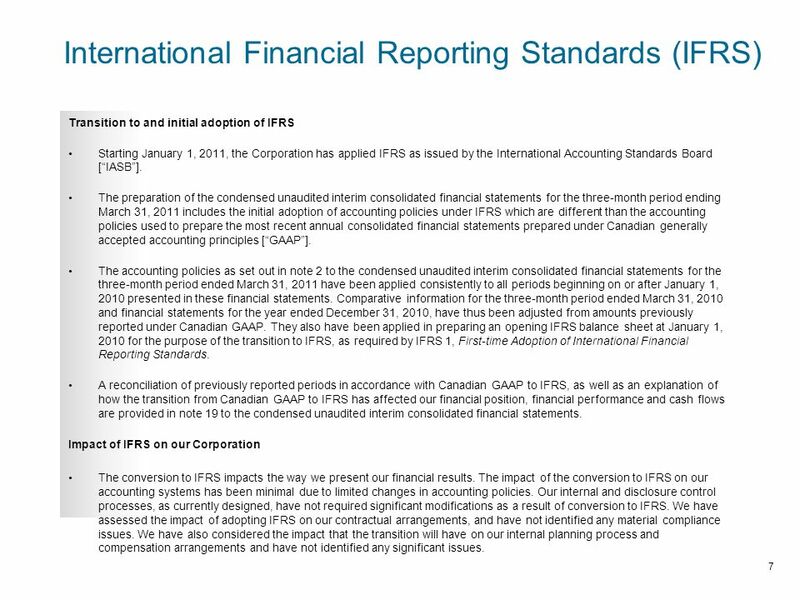 Academic Resource Center Accounting changes and errors Page 2 Executive summary ► Both IFRS and US GAAP have similar. 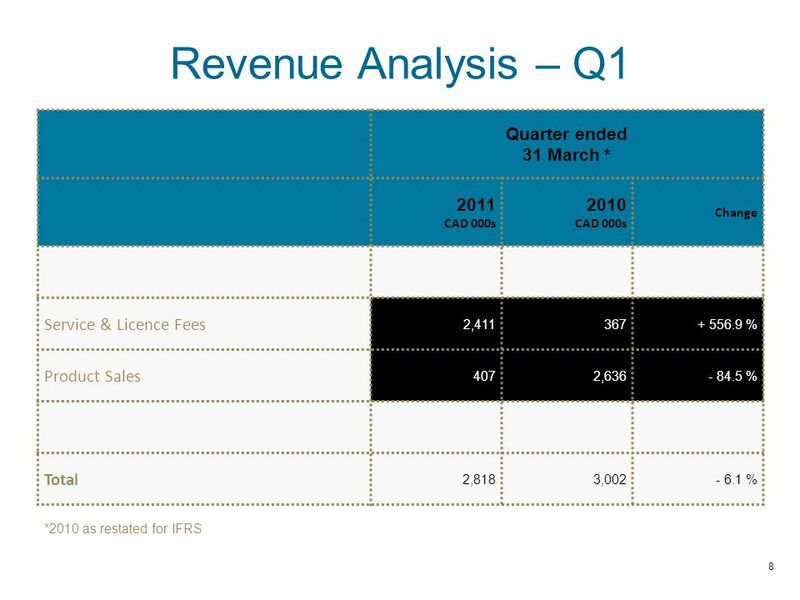 McGraw-Hill/Irwin Copyright © 2006 by The McGraw-Hill Companies, Inc. All rights reserved Chapter Twelve: Income and Changes in Retained Earnings. 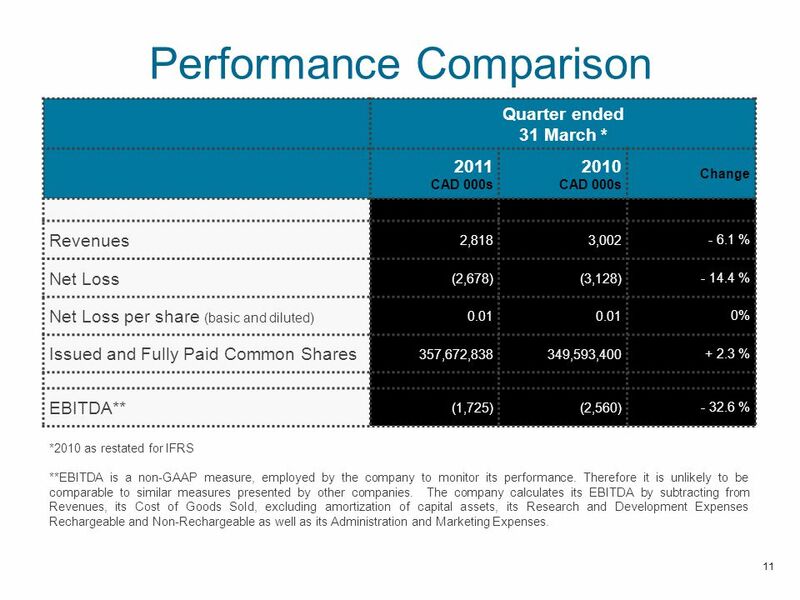 Auditors’ Reports. 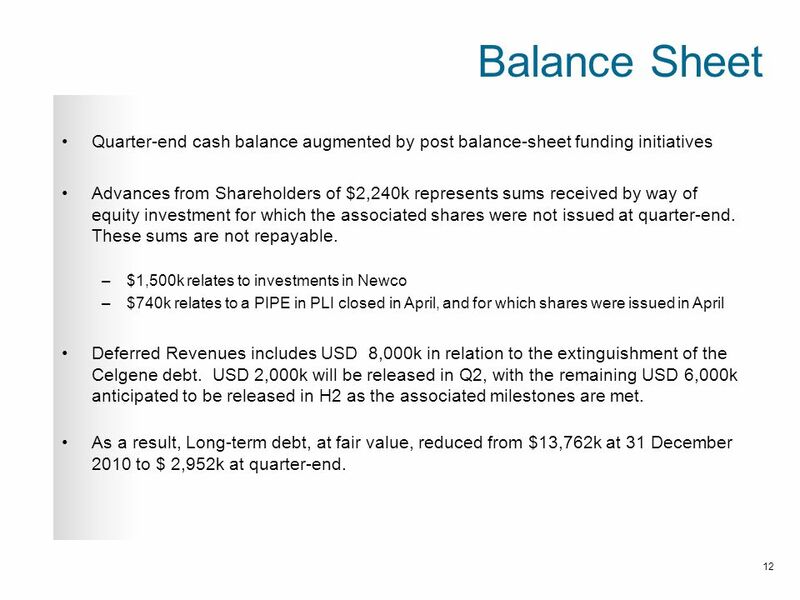 McGraw-Hill/Irwin © 2004 The McGraw-Hill Companies, Inc., All Rights Reserved We have audited the accompanying balance sheet. 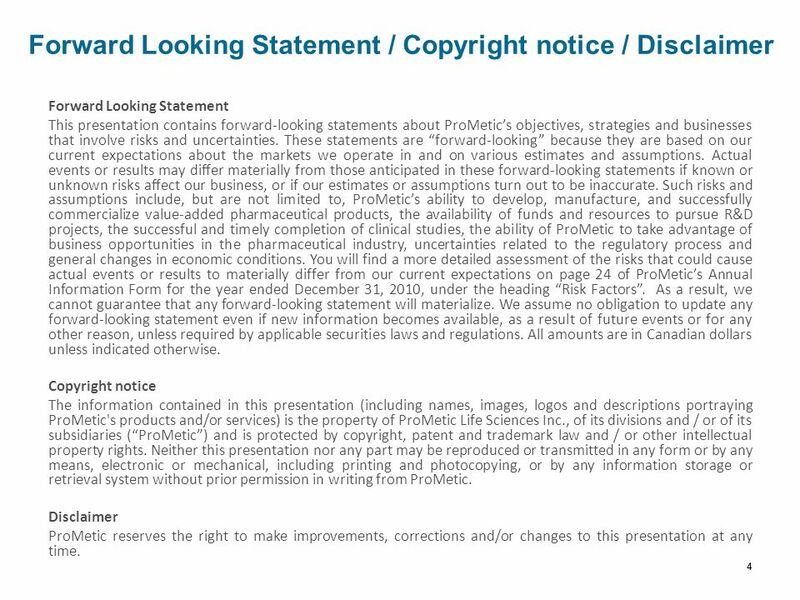 McGraw-Hill/Irwin Copyright © 2006 by The McGraw-Hill Companies, Inc. All rights reserved. 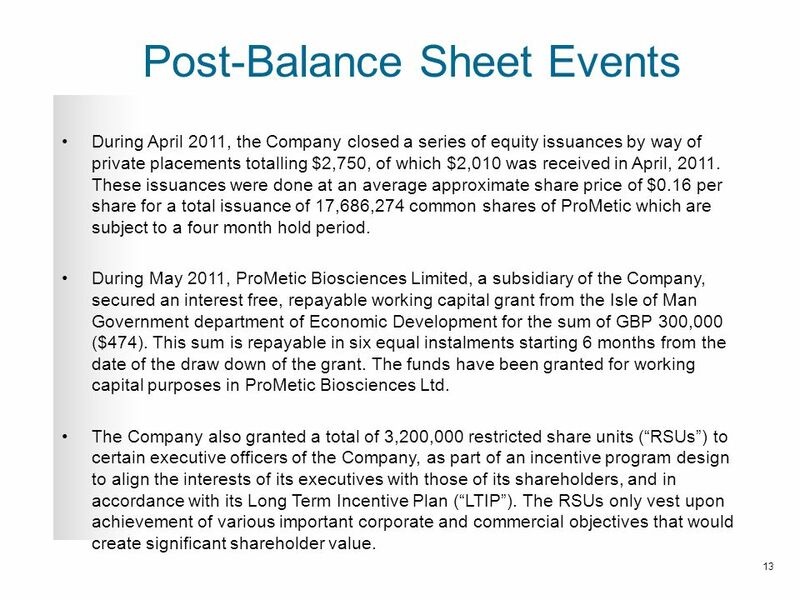 12-1 Chapter Twelve: Income and Changes in Retained Earnings.